Cut through the noise of competing solutions. The healthcare market is a complex and constantly changing vortex of pitches, new "big" products, and the next game-changing service. But what if you could cut through the noise of competing solutions and leverage the latest sales tools to ensure healthcare prospects and decision makers are singing your tune? How to Supercharge your sales team. How to spot a decision maker. Why emotional high notes work, and how to use them. How to communicate a clear and consistent value message. 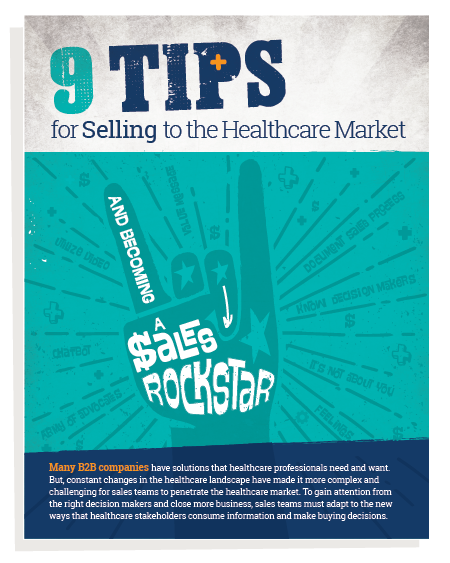 Download the full Tip Sheet for a more in-depth conversation on how to get your sales department to stand out as the rockstars and get your innovation noticed!